Both employees and customers usually end up frustrated and annoyed when they have to wait for a long time before they are attended to. But there is a way to keep your customers from getting frustrated because they have waited too long. Basically, a sudden increase in the number of people in a store can often make things difficult for business owners. 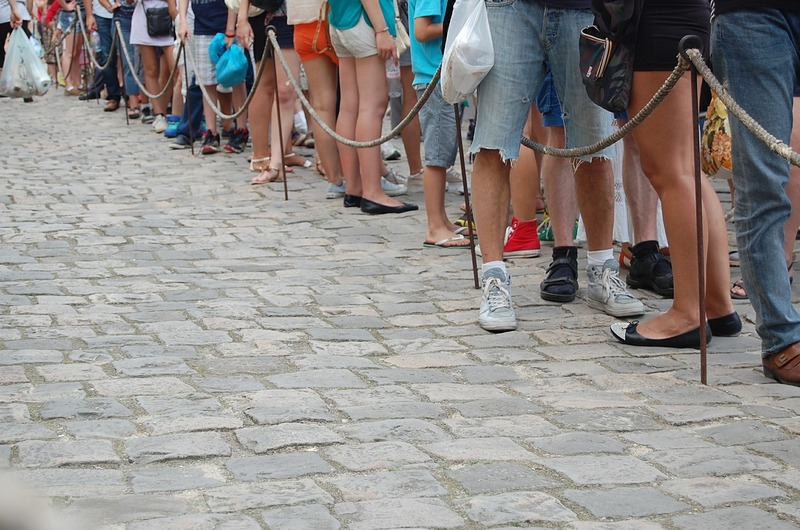 One way to handle this difficulty is to set up a queue for visitors or customers. Check out some existing queue solutions by ATT Systems that are effective in appeasing your customers during the wait. When you use a queue or line, things will go whole lot smoother and customers will be checked out in no time. When customers are attended to quickly (because they are in a queue) their satisfaction level is bound to increase. Queuing is an important and effective way to deal with large crowds. But the question now is – why is queuing more effective especially when compared to other forms of crowd control. Well, the answer is simply due to the psychological traits of customers. Next, we are going to be taking a deeper look at how a queue can be used effectively in crowd control management. When people enter a store and see a very long line, they are likely to walk away or leave the store unless what they want to purchase is really important to them. That said, how can a queue help in this regard? A queue can be very effective especially if it managed properly. What business owners should do here is to make the queue a little bit more organised or they can speed up the rate at which they attend to customers. If they are able to do this, when a new customer walks into their store and sees that the lines are short (because they have been organized) and also that customers are been attended to quickly, they will feel more at ease because they are confident that they will not waste much time waiting to be attended to. A good tip for business owners will be to train their staffs (especially those who are in the checkout section) on how to handle customers in a respectful and timely manner. Which line is the fastest? 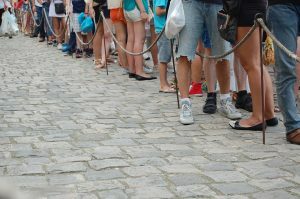 As mentioned earlier, customers dread the thought of standing in a queue, some are even ready to forgo their need just because of the sight of a long queue. And this is obviously because they find it both annoying and frustrating. Businesses know the importance of customer satisfaction and are aware that if their customers are unhappy (because they waited for a long time before they were attended to) it is going to hurt their sales and profit in days or months to come. The way out of this problem is for business owners to make arrangement for only one waiting line with a good number of checkout stations. Some think that this might look counterproductive but reports from businesses that used this tip experienced a massive reduction in their customers waiting time. Also, their customers did not bear the burden of choosing which line or queue is faster because there is just a single (fast moving) queue. When it comes to crowd control, organisation is of great importance. If customers are allowed to line up randomly and in an unorganised manner there is bound to be confusion among the customers. 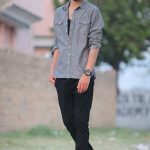 The best way to address this is for business owners to make arrangement for customers to queue up in an organized manner. If the tips in this article are adopted by business owners, crowd control related problems will be reduced to the barest minimum. Danny Scott is a 35-year-old semi-professional sports person who enjoys watching television, camping and theatre. He is stable and reliable, but can also be very lazy and a bit grumpy. Copyright © 2019 UPSTART. Powered by WordPress and Stargazer.